Within the scope of the requirements of the Turkish Land Forces Command for 120 mm HE-T Tank Gun Ammunition, which can be effective against open and sight defilade targets, the unique 120 mm HE-T tank gun ammunition was developed and produced in a short period of one year within the scope of the program of the MKE Institution, launched with its own resources. Following the production of prototypes, the first test and demonstration firings of the ammunition were performed through M60 Tank on April 03, 2018 under the supervision of MSB Firing Range Test and Evaluation Group Command. 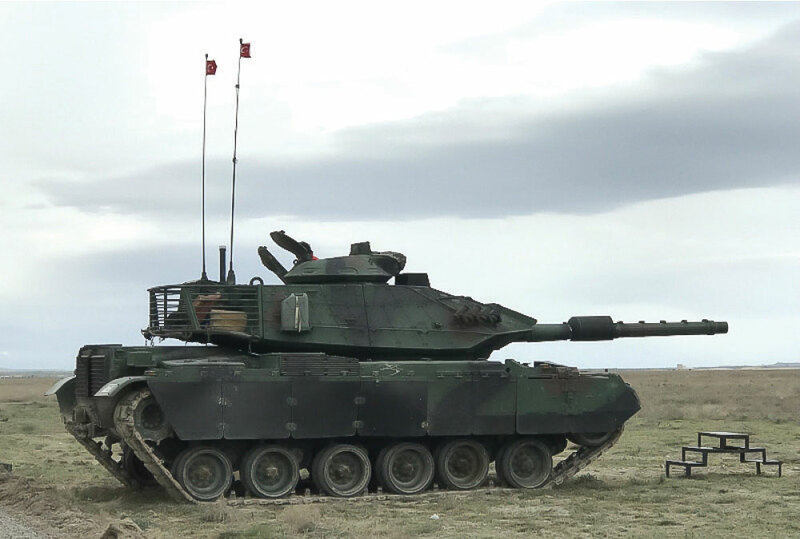 Following the first firing tests of the ammunition, high and low temperature tests (+520C,-440C), design strength, wall drilling and fuse effectiveness tests conducted at the Konya / Karapınar MSB Firing Test Range and Evaluation Group Command were also successfully accomplished. Following this process, the qualification tests will take place. For the 120 mm HE-T Tank Gun Ammunition, the aim is to start serial production in the second half of 2018 and three thousand units are scheduled to be delivered to the Turkish Armed Forces in the first phase. The 120 mm HE-T Tank Gun Ammunition, which can be used in smoothbore weapon systems of a total length of 945 mm, a full thrust weight of about 27 kg, a muzzle velocity of up to 1050 m/s and an effective range of 4000 m in 120 mm tank gun munitions, can be used with 44 caliber M60T and Leopard 2A4 gun barrels.